The Colorado/Wyoming ITE Section held their 2011 Annual Business Luncheon on Friday, September 23rd at the Embassy Suites Hotel in the Denver Tech Center. 2010-2011 Section President, Greg MacKinnon, presided over the Section’s business meeting luncheon with 50 members in attendance. The meeting began with MacKinnon welcoming the luncheon’s special guests – Alyssa Reynolds, the ITE Western District President and Kevin Flynn of RTD. He also recognized the Section’s Executive Committee for all of their work over the past year. The attendees then gave self-introductions. Alyssa Reynolds, the Western District President, gave a short informational presentation about the Western District’s purpose and structure. ITE International has 17,000 members in over 90 countries. The Western District consists of the western thirteen states, including Alaska and Hawaii. Her goal for her presidency is to reconnect the Western District with its members. The District is currently looking for volunteers for the public relations, legislative, and technical committees. 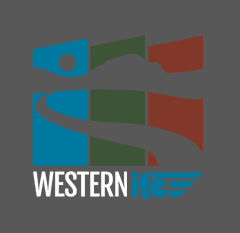 Visit WesternITE.org for more information. Reynolds then swore in this year’s officers. Chris Sheffer was sworn in as the Section President; John LaSala as Vice President; and Aaron Heumann as Secretary/Treasurer. Chris Sheffer presented Greg MacKinnon with the Past President award to recognize his contributions as last year’s Section president. Sheffer praised MacKinnon’s energy and dedication to the Section which has cumulated in MacKinnon’s development of a Strategic Plan for the Section, creation of updated Section Bylaws and updating the Section’s website. Sheffer’s goals for the upcoming year includes increasing the Section’s networking opportunities. He is working on increasing the outreach to students, younger members, and members on the Western Slope and in Wyoming. To this end, the Section has started using webcasting (via GoToMeeting.com) to allow the luncheon presentations to be remotely viewed by Section members that are unable to attend in person. This format allows the web attendees to actively participate by viewing and listening to the presentation and asking questions to the presenters via the web. If you are interested in mentoring a student or younger member, please contact Chris Sheffer. Contact Chris Sheffer at for additional information on joining our next Section meeting via webcast. Chris Sheffer also informed the students that there is an Undergraduate/Graduate Student Paper Competition. Abstracts are due October 14th to the Western District. More information can be found at WesternITE.org. Greg MacKinnon announced that there is a call out for Western District Director nominations. If you have recommendations, please contact Greg MacKinnon. Sheffer announced that the new FHWA regulations are open for comment until November 23rd. Please visit http://www.fhwa.dot.gov/resources/legsregs/ for more information. Engineers Without Borders will be hosting a wine tasting networking/fundraiser event on November 3rd from 6-9pm at Museo De Las Americas in Denver. John LaSala and Aaron Heumann discussed the Section’s proposed 2011-2012 budget. The Section is looking to try to subsidize a portion of the training this year. They have also set aside a budget for career guidance and student outreach. The membership voted unanimously to approve the proposed budget. Dave Hattan announced the call for nominations for the Section’s Lifetime Achievement Award. Nomination forms were handed out at the luncheon. Contact Dave Hattan if you have nominations that you would like to submit for consideration. Melissa Rosas announced that applications for the Section’s Undergraduate and Graduate Student Scholarships were available on the Section’s website. Applications are due on October 21st. There is a total of $4,000 available this year for the student scholarships. Application forms can be found at http://www.cowyite.org/scholarship/. If you are interested in helping out with the University of Colorado Denver student chapter or reaching out to high school students that may be interested in our profession, please contact Chris Sheffer. Joe Henderson announced that upcoming Section training opportunities would be announced on the Section’s website, www.cowyite.org. Vice President, John LaSala introduced the program speaker, Kevin Flynn with RTD. Flynn is the Eagle Project Public Information Manager for RTD’s Fastracks project. Flynn gave an update on the Eagle P3 Transit Project, discussing the project schedule, budget, and funding innovations. Our next Section luncheon will be held on Friday, November 4th at the Budweiser Event Center in Loveland. Bill Hange will be giving a presentation and tour of Loveland’s new continuous flow intersection. Registration will be available at www.cowyite.org. The Colorado/Wyoming Section contact is Chris Sheffer of the City of Centennial, (303) 325-8000; csheffer@centennialcolorado.com. Contact information for committee chairs and a calendar of upcoming events can be found by visiting our Section’s website at www.cowyite.org.